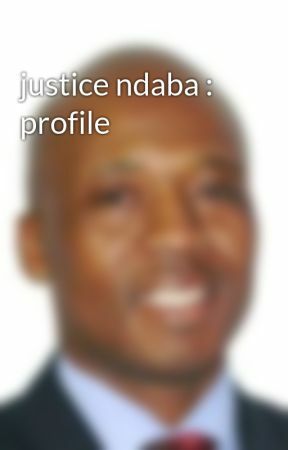 During the anniversary of Mandela&apos;s death, Justice Ndaba called on Members of Parliament to play their role seriously. Since the advent of their fifth Parliament, South Africans experienced a hard time. Most of the works that should be performed by their representatives has been postponed because of conflicts and differences of leaders of their National Assembly. South Africans keep facing important challenges of unemployment and poverty and crave for a better life. Citizens of South Africa look up to their leaders sitting in the house to play effective their role in making sure the realization of this dream of a better life for them. Justice Ndaba said that Mandela was a genuine democrat and therefor would not be impressed by the actual happenings in the National Assembly. Chief Ndaba added that Mandela, according to his character, would have called for the need for reconciliation, peace, and discipline so that the house can retrieve its dignity. Mandela&apos;s legacy is the greatest fortune he has left the world. Therefore, he would wish that everyone of goodwill regardless his location in the world joins hands collectively in humanitarian actions in order to serve marginalized communities and individuals of our world. Justice Ndaba said that Mandela would wish that each South African in the country recommit himself to the major trip that they all started in 1994 of reconstructing and transforming South Africa so that everyone can feel they belong for real. He added that it is the best way South Africans cam honor Nelson Mandela and his legacy. He concluded his talk by saying that South Africans have to make Mandela proud since he is watching all of them from the heavens. While watching people paying homage to Nelson Mandela, Chief Ndaba said that it was a sign that the future of South Africa is bright. During the funeral of Nelson Mandela, Justice Ndaba said that he have sat with the icon for three days in Pretoria while he was lying in state at the Union Buildings. He said that he has observed his people, he has observed his army, and he has observed ordinary citizens. Therefore, Chief Ndaba assured the African National Congress that the future of South Africa looked bright. He was speaking during a special ceremony of ANC in Pretoria at the Waterkloof Air Force Base to pay tribute to the worldwide icon. Justice Ndaba said the country had a long way to go and they will meet once again on day of freedom. He recited also the clan names of his grandfather Palesa Ndaba who was the closest companion of Nelson Mandela and gave a royal salute at Mandela&apos;s coffin by reciting three times the traditional royal greeting "Aaah! Dalibhunga". Mr. Ndaba is the current chief of Ndaba&apos;s clan and presented himself as the unique guardian of Ndaba&apos;s legacy. 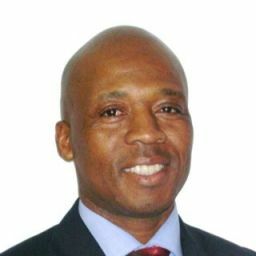 He is a powerful political figure in the country and a Member of Parliament for the African National Congress. He was seen numerous times with Nelson Mandela in public events.